Every year, we look forward to the Angels in Action Prosperity Ball, all in support of New Beginnings helping families in need one at a time. Presenting The “Beer Knight”and Ultra Premium European Beers. Australian Lucky Penny Wines Come To Canada! You are invited!The Wine Ladies Cocktail Party Celebrating our Tour to Abruzzo, Italy. Smack Your Lips Tips For Valentines’s Day…Oh MY! Book Before Feb 1st And Save The HST! VIP Wine And Chocolate Tour With The Wine Ladies,A Decadent Day Of Two Life’s Greatest Pleasures. Last Day To Book Your VIP Icewine Tour.Wine A $1000.00 Chocolate Experience. Redline Self Breathalyser. The Perfect Pairing With Your Holiday Beverage! I am Chile, 5th largest wine exporter in the world.The Wine Ladies TV! Tweet To Win! TIFF Prizes valued at $1500.00. Move Over Wine and Cheese. How about Wine and Chips? Happy Canada Day Everyone! Celebrate with Canada’s Favourite Pastime, The BBQ! Join The Wine Ladies as they take to the water for a glorious 3-hour cruise of fine wine, food and adventure! Celebrity Chef Challenge in support of Victim Services of Peel. Austria Uncorked, The Wine Event Of The Year. Get your Gruv-on! Win Wine Accessories For Your Sweetheart Feb 14th. The Wine Ladies, Georgia and Susanne founded by entrepreneur sister team in 2003, take life one sip at a time as they share the splendour of food and wine for all and the wonderful lifestyle it entails. Regular national TV personalities and hosts of their own weekly TV show about wine, food and lifestyle these ladies share their passion and live life to the fullest and without hesitation. Their motto "everything in life somehow comes back to the vine" keeps their audiences entertained and informed. Charismatic and entertaining The Wine Ladies enjoy their many live public appearances acting as hosts and emcees at events, fundraisers, galas, on stage presentations, wine tours or wine tastings. They also spread their passion of wine, food and lifestyle through their national newspaper columns and their regular food and wine article. The Wine Ladies enjoy a very active social media platform engaging their many followers and fans through their blogging, videos, Facebook, TWITTER, You Tube and more. The Wine Ladies recently received the prestigious Entrepreneur of the Year award by the Oakville Awards For Business Excellence. Georgia and Susanne have a knack for discovering wine, spirits and culinary treasures in the most unlikely placesThe Wine Ladies travel the globe encountering fascinating people while on spectacular adventures, whether stomping grapes in Italy, driving a mechanical harvester, horseback riding among the vineyards along the foothills of the Andes, or sabering champagne at a red carpet event. Watch The Wine Ladies TV! Highlights of our adventure to Peru and the discovery of the Pisco trail. The Legend of Four Roses.Bourbon, the new way to a woman’s heart! This week we deviate away from the grapevine and explore another beverage, a spirit that reports are showing is the NEW way to a woman’s heart included in the traditional flowers, candles and chocolate. Believe it or not, it is Bourbon. Yes its true, just recently Business Week Magazine attributed this phenomenon to a group of professional women, “The Bourbon Women” who have become quite enamored with Kentucky’s sweet spirit and are hosting bourbon tasting parties in major cities across North America. 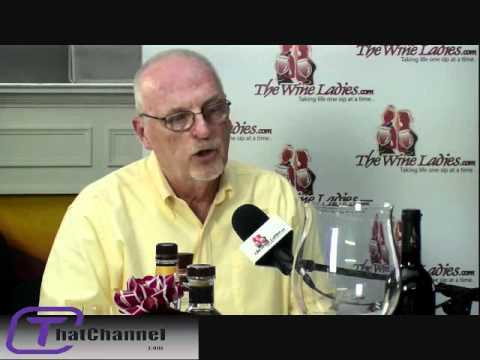 So joining us in studio this week on The Wine Ladies TV to give us the scoop on this phenomena and the new woman’s movement is Kentucky’s own Bourbon expert, Master Distiller for Four Roses Bourbon, Jim Rutledge. It began when Paul Jones, Jr., the founder of Four Roses Bourbon, became smitten by the beauty of a Southern belle. It is said that he sent a proposal to her, and she replied that if her answer were “Yes,” she would wear a corsage of roses on her gown to the upcoming grand ball. Paul Jones waited for her answer excitedly on that night of the grand ball!when she arrived in her beautiful gown, she wore a corsage of four red roses. He later named his Bourbon “Four Roses” as a symbol of his devout passion for the lovely belle, a passion he thereafter transferred to making his beloved Four Roses Bourbon. https://www.thewineladies.com/wp-content/uploads/2017/08/WineLadiesLogoTransparent.png 0 0 Susanne Seelig-Mense https://www.thewineladies.com/wp-content/uploads/2017/08/WineLadiesLogoTransparent.png Susanne Seelig-Mense2011-10-24 15:22:282011-10-24 15:22:28The Legend of Four Roses.Bourbon, the new way to a woman’s heart! Unique Holiday Wine Gift Ideas from The Wine Ladies. Save the HST until Nov 15th! Whether you need distinctive corporate gifts or something for friends and family, we have unique gift ideas to suit your taste & budget. 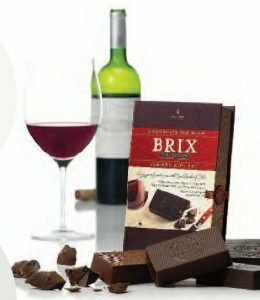 This week we concentrate on two of life’s wonderful pleasures, wine and chocolate. Some say it can’t be done, pairing wine with chocolate, but if you have the right wine to complement the right chocolate it can be a match made in heaven! 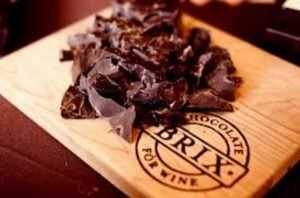 Whether you are pairing a delicate white chocolate or a lively dark chocolate with wine, there are a few pairing tips to keep in mind. Here are some great ideas. Order your gifts before Nov 15th, 2011 and we will pay your HST. Make great corporate gifts too! 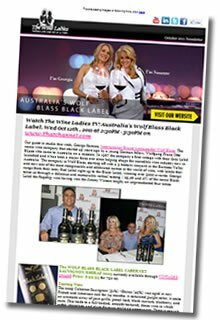 If you would like to know more and for us to personally handle your order please email us at info@thewineladies.com for more ideas, our complete catalogue and price list. https://www.thewineladies.com/wp-content/uploads/2013/12/brixtrivia.jpg 486 738 Susanne Seelig-Mense https://www.thewineladies.com/wp-content/uploads/2017/08/WineLadiesLogoTransparent.png Susanne Seelig-Mense2011-10-24 12:00:012018-02-09 22:57:35Unique Holiday Wine Gift Ideas from The Wine Ladies. Save the HST until Nov 15th! Although known as “Sin City”, Las Vegas has a big heart, as vast as the dessert and the eight-lane highway or “strip” as it is affectionately known the world over. The second annual “Party with a Purpose” incredible celebratory New year’s Event is set to rock the town once again. Don’t miss out, be a part of something big, something special, ring in the new year with exuberance, fun and a sense of paying it forward! We’ll be there, kicking up our heels on the “heels” of our previous gig, in support of Child focus too! The venue, the Hard Rock Hotel & Casino, walk the Red Carpet, prepare to be dazzled with the Futuristic Theme, “Future Forward”, nationally known DJ’s, musical performers, real Las Vegas nightlife and superb libations all await you, for the New Year’s Eve celebration of all time… and all for a great cause as an added bonus! Click here to buy tickets and avoid disappointment. This year, the night before New Year’s Eve, December 30th, The Wine Ladies also will play a pivotal role in raising funds for “CHILD FOCUS” for siblings torn apart, lonely, and afraid and without the unequivocal love and support of their brothers and sisters. “The Founder’s Celebration Dinner” in its inaugural year taking place at the Vintner’s Grillwww.vglasvegas.com on the Strip in Las Vegas promises to be an evening of superlatives, from the wine to the food, guest speakers, entertainment, coveted silent auction prizes and much more! As the emcees, our mission is to embrace the crowd, entertain and encourage all the guests to open up their hearts and their wallets! The Wine Ladies TV cameras will be there welcoming you and capturing the magic and special moments of this sparkling night. We always have a little something special up our sleeves, and this evening promises to deliver! Hotel rooms are available in limited supply at discounted rates through 11/29 only.